An innovative, unique formula for men's facial nourishment. This innovative, unique formula for men’s facial nourishment contains a complex of essential oils, liposomes, and Dead Sea mud that helps to combat wrinkles and give your skin youth. 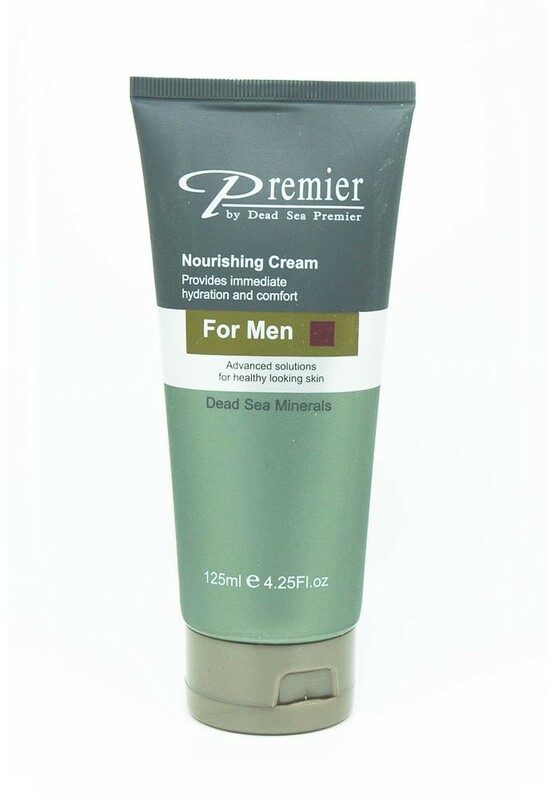 Nourishing Cream Provides immediate hydration and comfort Advanced solutions for healthy skin An innovative, unique formula for men's facial nourishment. A complex of oils, liposomes, and Dead Sea mud serves as a catalyst to help combat wrinkles to give your skin youth. This excellent formula also contains Aloe Vera which nourishes your skin, prevents wrinkles, and protects and prevents the skin from sun damage. It leaves your skin smooth and pleasant looking. Application: After shaving, or any other time, message cream onto face.